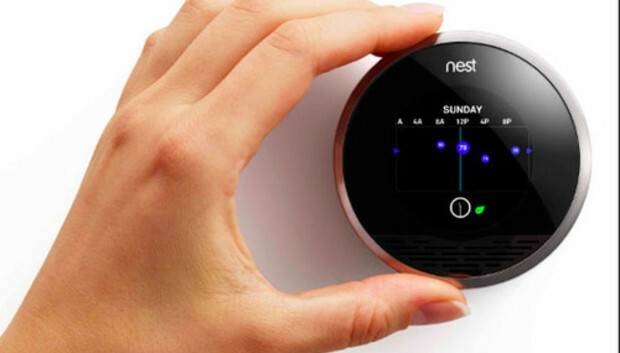 Google buys Nest, world gets one step closer to "OK Glass, make my house warmer"
Google already pretty much owns the Internet, and now it's coming for the Internet of Things. The search giant on Monday announced it was acquiring Nest, makers of the Nest Learning Thermostat and Nest Protect smoke detector, for a cool $3.2 billion in cash. In case you're unfamiliar, Nest's Wi-Fi-enabled, learning, programmable smart thermostat and recently launched Protect smart smoke and carbon monoxide sensor have gotten great reviews. Both products feature a sleek, easy design that have proven to be popular with consumers looking to adopt smart devices into their domiciles. So, what now? While both companies are patting themselves on the back for the acquisition (with Google CEO Larry Page praising Nest for "delivering amazing products you can buy right now" and Nest CEO Tony Fadell saying he is "thrilled to join Google,") Nest's own FAQ assures users there are no immediate plans to change how Nest operates. What isn't known yet is how Nest will fit into Google's overall push for your home. The Internet of Things was a capital-T trend last week at International CES, with companies leading the market away from standalone connected products to integrated platforms like Samsung Smart Home and LG HomeChat that let consumers monitor and control multiple devices like lights and appliances from one app. Perhaps Google's acquisition of Nest is the company's first step in reviving its Android@Home platform (also known as Project Tungsten), a plan for a connected home that seemed to fizzle out after the launch of some Android-controlled LED lights.